DEET is still considered one of the most effective mosquito repellents around and one of the oldest. It was first developed for use by the U.S. Army in 1946, and became available to the public in 1957. Many other products have hit the market since then, but few compare to DEET. However, it should not be used too heavily or on infants under 2 months. CUTTER ADVANCED (Picaridin) is odorless, colorless and has proven to be as effective as DEET. Although fairly new to the U.S. this repellent has been used worldwide since 1998 and received CDC endorsement in 2005. OLE Oil of lemon eucalyptus (marketed as REPEL) offers protection similar to low concentrations of DEET. Derived from the Eucalyptus Citriodora tree it is the only CDC recommended plant-based repellent. OLE is the preferred option for those who want a natural product. IR3535 This repellent (3-[N-butyl-N-acetyl]-aminopropionic acid) is available exclusively through the Avon Corporation as Skin-So-Soft™ Bug Guard Plus IR3535 Active Insect Repellent (7.5%) or Skin-So-Soft™ Bug Guard Plus IR3535 Expedition Insect Repellent (15-20%). In the latest Consumer Reports survey (May 2015) the IR3535 products didn’t make their list of top sprays. Some of the plant-oil products couldn’t ward off the Aedes mosquitoes for even half an hour. 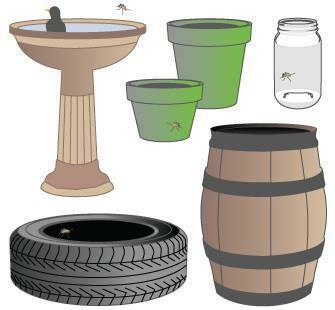 Aedes mosquitoes are aggressive daytime biters and are known to transmit Zika virus, dengue fever and Chikungunya. Products containing lower concentrations of DEET are just as effective as those with higher concentrations but for shorter periods of time. Another natural and extremely effective repellent, Geraniol, is extracted from geranium oil through a unique refining process and is available in a range of products sold under the BugBand brand. BugBand, which has undergone tests by the University of Florida, is marketed as THE Deet-free insect repellent. It comes in a variety of products designed to protect against a wide range of biting insects including; mosquitoes, house flies, stable flies, horn flies, cockroaches, fire ants, fleas, gnats, dog ticks, lone star ticks, and no-see-ums. Anyone with small children knows what a battle it is to get kids ready for the outdoors. A combination product would simplify that task right? While products that contain a combination of sunscreen and the insect repellent DEET may save time, they may also increase certain risks, according to new research. The study showed that combining sunscreen with DEET caused the skin to absorb the insect repellent more than three times faster than when used alone, potentially increasing toxicity, especially in children. The problem is compounded by the contrary application requirements. Sunscreens should be applied generously and frequently: a full ounce (two tablespoons) of sunscreen should be applied directly to the entire body, including a small dollop to the face, at least every two hours. Insect repellents (DEET), on the contrary, should be applied no more frequently than every two to six hours, depending on the concentration, and you should avoid applying it to the face. The CDC doesn’t recommend the use a single product that combines sunscreen and insect repellent containing DEET. However they do endorse the use of individual products, and in general the recommendation is to apply sunscreen first, followed by repellent.